We are on the last morning (7:00am) of a 5 day stay on the beautiful Gili Islands. This has been a very relaxing and much needed time to recharge for the next couple of weeks ahead. Wifi has been brutal on this island, so it has been difficult to keep in touch with those back home .. but this nice little porch we have with our bungalow has been a great place to catch up on the journal. This is what happened leaving Ijen up till this moment. We left Banyuwangi still not knowing what was going on with the Mexican and his wife .. Lasse, Pierre, Marion, Sylvie and I decided to stick together and continue on to Bali .. power in numbers when moving from place to place. We took a cab to the bus terminal and put ourselves on high alert for con men. Well it didn’t take long for them to make their presence known .. on to us like flies to sh*t asking where we were going and how many people we were. 3 of these ruffians followed us onto the bus. This time we knew better and although their con price wasn’t horrendous, we decided we needed the practice. So we set ourselves up for a siege. Asking another passenger, Pierre confirmed the correct price and I went and talked to the bus driver .. saying we would pay him, and to keep driving. The thieves were very aggressive, acting like they ran the bus, wanting us to pay them … now. We smiled and laughed as the bus hesitantly inched it’s way through the streets. These scoundrels got more and more aggressive, at one point charging at Lasse with a angry face and arms raised yelling “then get off the bus!!! !” .. we smiled and waited till they ran out of steam.. I asked sarcastically “ who are you guys ?? why are you on the bus ?? “ Their scare tactics had no effect.. 10 minutes into the game, they hopped off the bus, piled onto a scooter, turned around and drove back to the bus station .. defeated. We paid the bus driver the proper price and were very proud of ourselves for this great victory. By late afternoon we rolled into Kuta, Bali. A party town .. a “Mecca” as Lasse put it. Chain restaurants and bars everywhere .. foreigners everywhere .. expensive hotels and expensive rides. All the comforts of home. 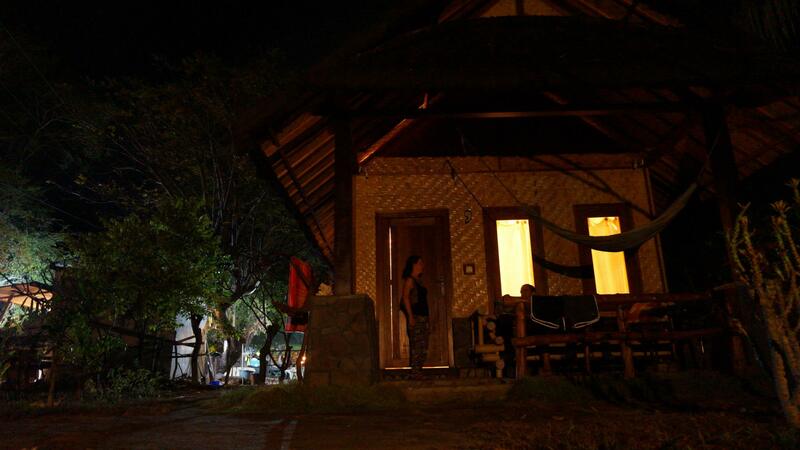 We stayed a night here to recharge and continue our journey to the Gili Islands. Sadly, we would part ways with the single Lasse .. Kuta was right up his alley .. and we had some snorkeling and island hopping to do. That night he met a new Canadian friend from the east coast, so we left him in good hands. 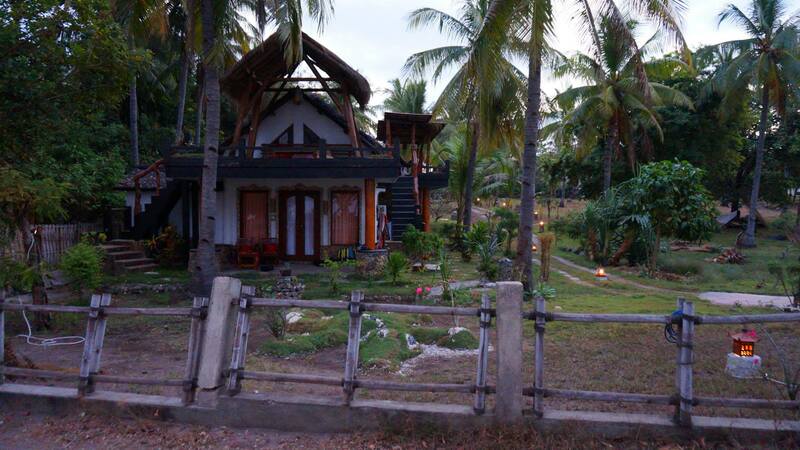 Perhaps we will meet up with Lasse later in the trip as Bali is a small island and paths often cross. The next day, Pierre, Marion, Sylvie and I hired a van to Padangbai.. a coastal town in Bali where you can catch the ferry to Lombok. Of course, you couldn’t take a ferry directly to the Gili Islands because that would be too convenient .. instead, the ferry brings you to the south end of Lombok. You then had to traverse the island, south to north, to reach another port to catch another ferry to the smaller islands. The ferry was crowded .. 5 hours .. hot in the sun, freezing in the shade. There was no winning the battle .. you simply suffer for 5 hours .. and we did. By the time we landed, it was getting late and rides onward were becoming difficult to find .. Ramadan was ending and many things were not operating as normal. We opted for a van ride to Sengigi, which is about half way up the coast.. there we found a hotel and crashed for the night. Every night we ate supper with Pierre and Marion .. sharing stories and having a good old time. Last night was our last night on the island and alas our paths are diverging. We exchanged emails and will be keeping in touch .. who knows, perhaps we will run into them again on Bali. Great travel friends for the last week .. we got through some tough times together and shared some amazing experiences as well. Vive la France ! Today, we head back to Bali to rent a scooter and head to Amed .. supposed to be a sunken Japanese fishing boat to snorkel around and a US navy boat .. the Liberty ? Should be interesting .. Impressive that you didn’t let those men intimidate you on the bus – a victory, indeed! 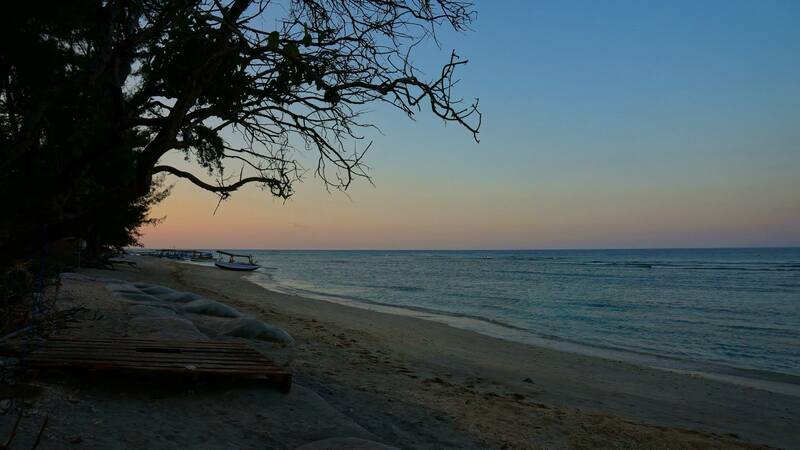 And the Gili islands sound really wonderful. A different side of Bali. Is it true what I heard that Bali has become perhaps over-commercialised by tourism? Hmm good question.. over commercialized? In my opinion yes in small pockets.. however it’s not so bad as it is in some other countries like say Costa Rica where McDonald’s kfc and every other american company has moved in.. billboards and all. Kuta.. Ubud there are tons of tourists and yes a hard rock cafe. But it’s “done well”.. difficult to explain.. I suppose because there is so much to see and do in Bali that these saturated areas are a logical jumping point for more down to earth activities and sights. Another way of looking at it would be : I would actually live in Bali. However I would never live in Costa Rica. Thanks for the challenge..
Costa Rica is that commercialised? That’s disappointing, but not surprising. I’d rather go to more socialist havens like Nicaragua I think. Even Cuba doesn’t have long. I think I would live in Bali too – and I haven’t been there yet. Nicaragua was our favorite central american country.. corn islands were a highlight :). Do go!